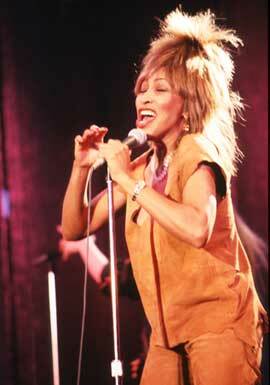 "Root Toot Undisputable Rock'n Roller" is a single from Tina Turner's album "Rough". At the Disco Show , Kultnach from 3Sat in Germany in 1979, on Musikladen in Germany in 1979 and at the San Remo Festival in Italy in1979. "Root Toot Undisputable Rock'n Roller" is about a woman that works in a bar. She is fierce and doesn't let anybody mess with her. 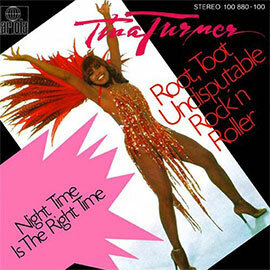 The B-side is "The Night Time Is The Right Time". It is a great rhythm and blues song. It was recorded by Nappy Brown in 1957. It draws on earlier blues songs. Blues pianist Roosevelt Sykes (listed as "The Honey Dripper") recorded "Night Time Is the Right Time" in 1937 (Decca 7324). Called "one of his 'hits' of the day", it is a moderate-tempo twelve-bar blues that features Sykes on vocal and piano. It has been suggested that it was "drawn from the old vaudeville tradition". 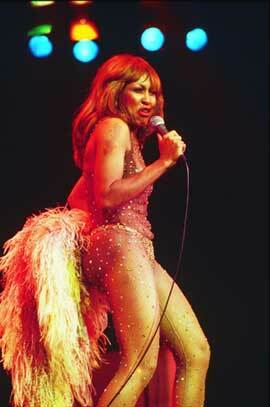 Tina Turner performed this one too at the Kultnach in Germany in 1979. The song is about a woman that wants to be with the man that she loves. "Root, toot undisputable rock ‘n’ roller"